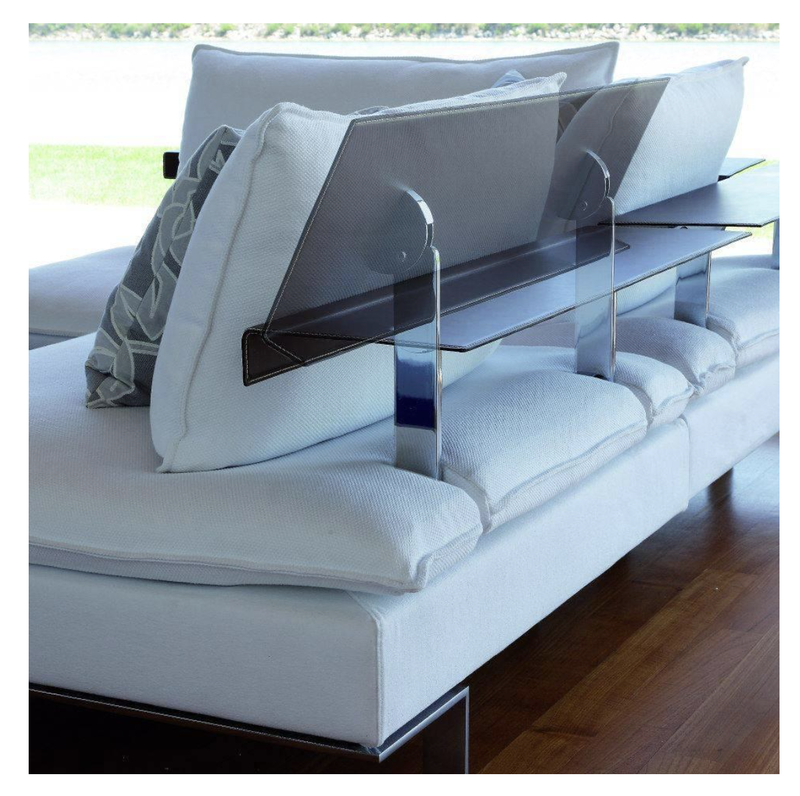 Momentoitalia Italian furniture - blog: Flexible and versatile Modern Italian Sectional Sofa with a twist ! Flexible and versatile Modern Italian Sectional Sofa with a twist ! 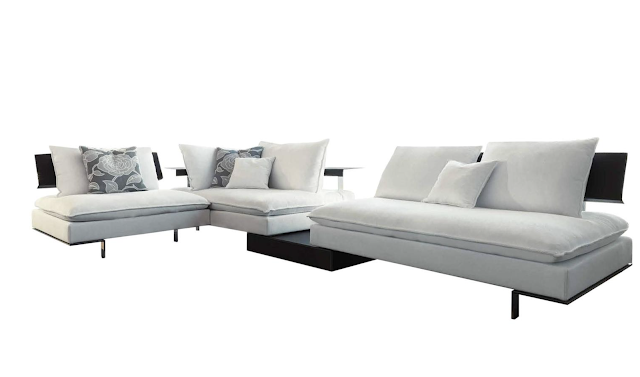 Amazing and versatile Italian modern sectional sofa with modularity and many important details. Available in fabric or leather, this sectional sofa is composed by four connecting pieces. 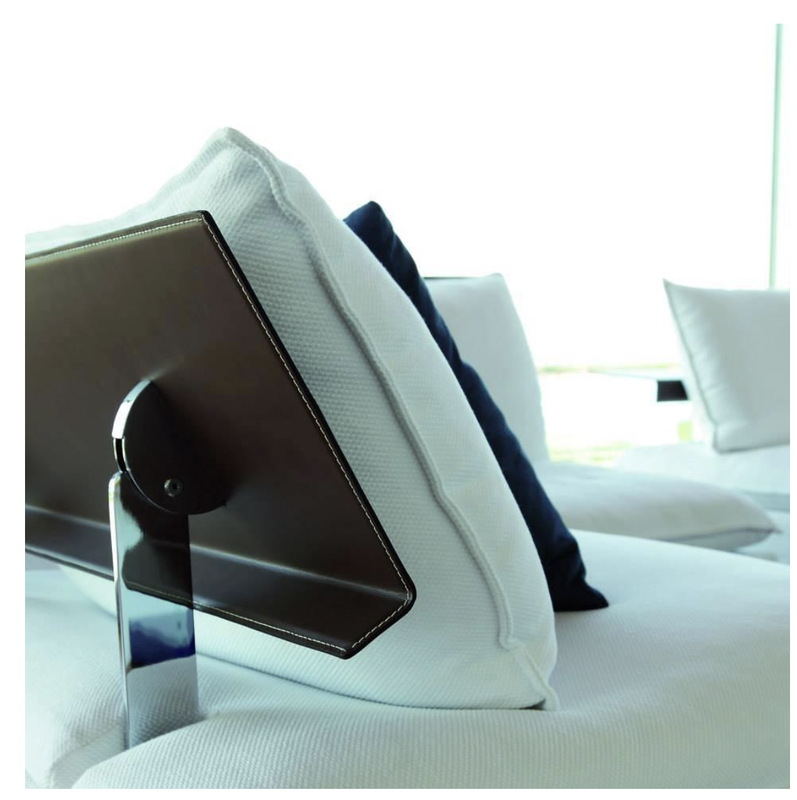 Each piece has it's own adjustable backrest shelving completely covered with thick hide leather. Two of the sofa elements are connected through a bench completely covered with thick hide leather in dark brown. The end element which is laying on this bench can be moved and slightly bent forward at a degree angle for a more cozy seating area. The sofa elements are armless and feature a whole seat cushion and large backrest pillows. The feet are chrome. This Italian sectional sofa can be available in many different sizes and configurations. If you don't want leather shelving choose a wood shelving or lacquered shelving option. Please inquire with our sales team for sizing if you need a more personalized configuration. Hi, really very Nice and Wonderful love useful Blog Post. Thanks for sharing this interesting post.